The control and treatment of traumatic brain injury (TBI) is a significant health issue in neuroscience. There are around 2.5 million new cases of TBI every year in the US alone and around 5.3 million people now live with permanent disabilities a result of TBI. The first summit on Healthy Kids and Safe Sports was hosted by President Obama in 2014 to raise awareness of sports-related concussions and US organizations provided funding of more than $70 million for researching and improving awareness of TBI. People are beginning to understand the concussion risk associated with young people playing contact sports or being a soldier, for example. In the clinical management of patients with TBI, non-invasive techniques such as MRI and CT are used to assess the extent of injury and to monitor patients. Using these methods, researchers can evaluate the impact of TBI on cognitive tasks. Non-invasive methods are limited in terms of the resolution they can provide. The histologic imaging of tissue does provide a much better resolution and can validate the results obtained using other modalities; however, this can only be done postmortem. 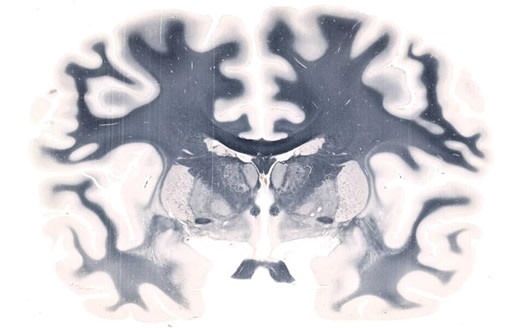 Therefore, to increase understanding of the brain, techniques such as CT and MRI need to be combined with postmortem histology. 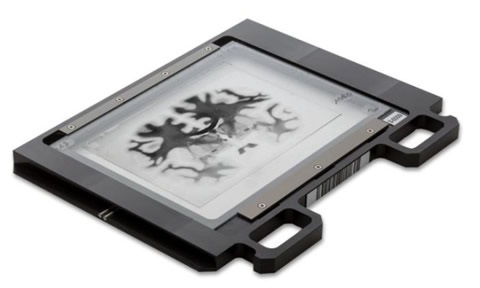 Among the histology technologies available, whole-mount slide imaging such as Huron Digital Pathology’s TissueScope™ solution enables researchers to map the whole brain and link cytoarchitectural maps with functional imaging data. Whole-mount slide imaging enables innovative processes and outcomes in brain research. Since the TissueScope can accommodate slides of up to 6 x 8”, it is possible to scan an entire slice of the brain at once, allowing a precise 3D reconstruction of the whole brain to be created. In contrast to conventional microscopy, sections need not be excluded, meaning a global image is easier to obtain. To reconstruct a brain image from histology slides, the brain needs to be thinly sliced along one axis. Although thousands of slides require scanning, the TissueScope can image whole slides in just a few minutes. Furthermore, accessories such as the TissueSnap™ enhance throughput by offloading preview scanning and pre-processing, meaning the main scanner can operate at maximum speed and without interruption. It is possible to use a tiling algorithm, so that for each brain slice, thousands of evenly spaced scans are captured at high resolution. The resolution achieved using the TissueScope, can reach up to 0.25μm at 40x magnification or resolution can be lower, at 0.50μm at 20x, or 1μm at 10x. This enables researchers to map the brain in detail, at a cellular level, and the potential to clarify uncertainties over observations made with lower resolution in-vivo imaging. Using suitable software, brain slice images can be compiled into a 3D volume. Hundreds of sections can be processed and viewed in just a few minutes, owing to the 3D histology software Huron offers that provides volumetric reconstruction of whole-mount slides. Furthermore, volumetric images from optical and confocal z-stacks can be read, visualized and investigated. Form there, scientists can proceed with cell counting, measuring the volume of specific regions and much more. Figure 2. The brain in figure 1 magnified to highlight regions of interest in the left hemisphere. Figure 3. The 5x7” slide of a human brain on Huron’s whole-mount slideholder. Since high resolution 3D reconstruction is enabled using the whole mount method, this technique can be used by itself or in combination with other modalities to gain further understanding of the brain. In long-term, historically significant cases, research conducted using non-invasive techniques such as CT or MRI can be can be put into greater context compared with whole-mount histology imaging. When managing TBI patients, whole-mount imaging can reveal diffuse pathology in the deep white matter of the brain and enable the boundaries of injuries or lesions to be more clearly determined. Obtaining this high-resolution reference, additional studies can improve understanding of the neural circuits used for perceptual tasks and how TBI affects them. Through combining whole-slide imaging with molecular methods, it is possible to better understand the impact TBI has on global brain connectivity. Overall, a microscopic brain map can be linked to a range of other functional and structural data. The results of non-invasive MR-based imaging can be validated by histological study, thereby enhancing the techniques used to treat TBI and improving patient outcomes. By acquiring high resolution, whole-brain images, Huron Digital Pathology has already supported a large variety of human brain research projects.